As a part of her research for the EUDAIMONIA project, in 2017 Emilia Tikka was invited to take part in Interdisciplinary CRISPR-cas9 workshops which were organised to discuss, question and experiment possible applications, implications, ethical issues and future speculations around the newly discovered gene-editing technology. These themes were discussed in a groups of artists, designers, engineers, biologists, scientists, philosophers and citizen scientists. The CRISPR_Kitchen in Munich was organised by Rüdiger Trojok and (ITAS) Institute for Technology Assessment and Systems Analysis, The Merry_CRISPR, was organised by The Bioartsociety and Aalto University`s Biofilia laboratory in Espoo Finland. Both workshops included guest lecturers as well as talks given by the participants. 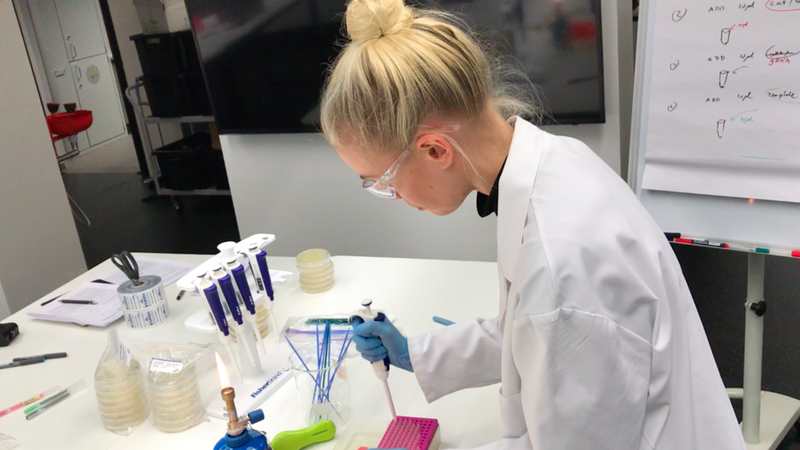 The workshop organised by the Bioartsociety and Biofilia laboratory included hands-on CRISPR experiments with the ODIN kit, hosted by artist Marta De Menezes. CRISPR-cas9 experiment using ODIN DIY kit at the Aalto University Biofilia laboratory.